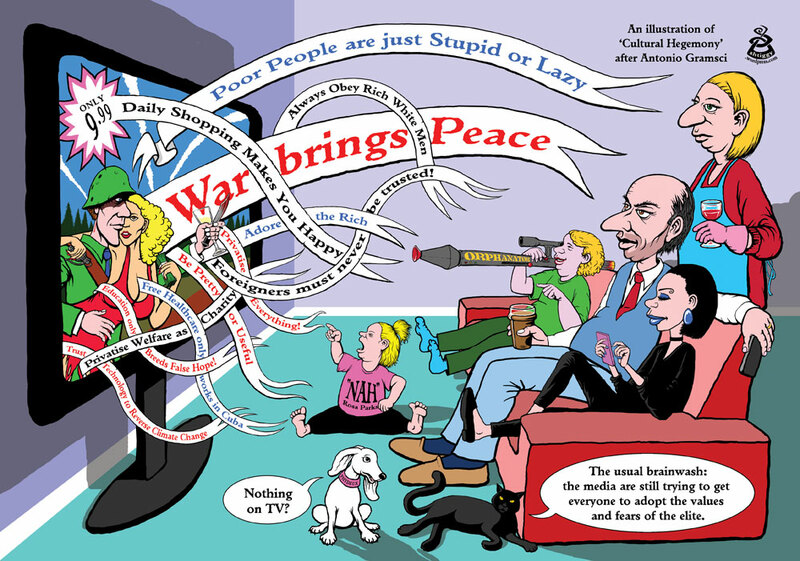 An illustration of the very useful concept – ‘cultural hegemony’ – as define by Antonio Gramsci, and mentioned by George Monbiot in his recent book ‘Feral’ (that proposed the rewilding of Britain). Cultural Hegemony is the tendency (mostly through self-censorship) for the main-stream media (MSM) to bombard consumers with imagery and stories that encourage us to adopt the values, attitudes and fears of the “ruling elite”. This idea is very in-line with much of the writings of Noam Chomsky too, especially in relation to his criticism of the “main-stream media” who define the goal-posts or range of the ‘permissible debate’.